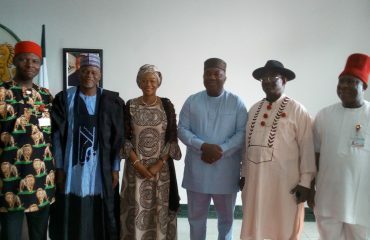 The Minister of Labour and Employment, Dr. Chris Ngige and the National President of Trade Union Congress of Nigeria (TUC), Comrade (Dr.) Bobboi Bala Kaigama, has commended Governor Ifeanyi Ugwuanyi of Enugu State for his sterling performance in office and outstanding commitment to the welfare of the state’s workers. The duo made the commendations in their separate speeches during the groundbreaking of 100 Housing Units for Nigerian workers by the Federal Mortgage Bank of Nigeria (FMBN) in collaboration with Nigeria Labour Congress (NLC), Trade Union Congress Nigeria (TUC), and Nigeria Employer’s Consultative Association (NECA), held at Ede-Oballa, Nsukka Local Government Area of Enugu State. Speaking at the epoch-making event, the TUC National President stated that his leadership was proud of Gov. Ugwuanyi for not only paying workers’ salaries regularly but also for ensuring that they “have decent working environment”. Comrade Kaigama, who disclosed that Gov. Ugwuanyi is second to none in the provision of workers’ welfare in the South East geo-political zone, added that the governor has set the pace for other states to emulate. Describing Gov. 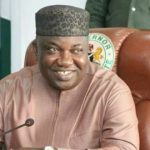 Ugwuanyi as “a performer”, the labour leader told the governor that “Enugu State is working under your leadership and that is not only because you are a performer, but you exhibit the sense of performance with humility”. He maintained that the governor is “very humble and caring” and listens when it comes to challenges confronting the workers and the entire people of Enugu, saying: “If there is any governor that Nigerian workers can come up and work for his success particularly for his second term, we are proud to say that our members will work for you”. According to him, “we would say it anywhere because you have done it and you are doing it. We assure that the working class not only in Enugu State but also in the entire nation is supporting you on your efforts to deliver the dividends of democracy”. Appreciating Gov. 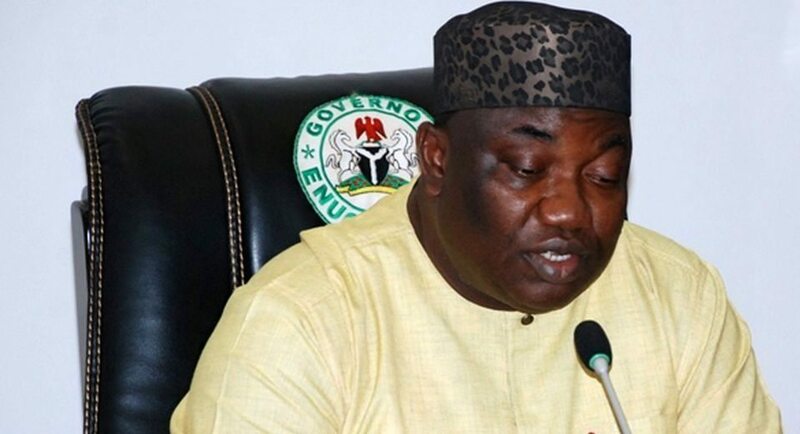 Ugwuanyi for his efforts to give succour to the state workforce through the provision of affordable accommodation, the TUC President urged Enugu workers to “reciprocate this gesture by ensuring that we continue to have a harmonious working relationship with your good government”. In his remark, the labour and employment minister, who described Ugwuanyi as “a governor who is paying workers’ salaries as at when due”, expressed delight at the massive infrastructural development in Enugu State, saying: “Thanks to the Gburugburu magic”. Dr. Ngige lauded the initiative of the FMBN in partnership with the state government and other concerned bodies to provide affordable housings for the workers as a welcome development, pointing out that the project is in line with the tripartite policy of the federal government. Other speakers at the event such as the Managing Director of FMBN, Arc. Ahmed Musa Dangiwa, the Director General of NECA, Olusegun Oshinowo, and the Managing Director of Multidev Nigeria Ltd, Rev. 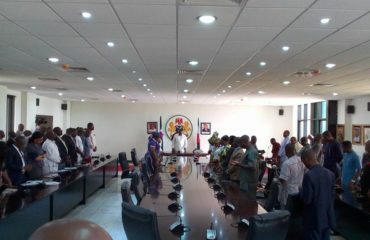 Ugochukwu Chime, also applauded Gov. Ugwuanyi for promptly facilitating the provision of land for the project and ensuring its cost reduction, which they said to make the houses more affordable for the state’s civil servants. In his address, Gov. Ugwuanyi, who welcomed the dignitaries to the state, stated that the project was in line with his administration’s promise to transform the socio-economic fortunes of the state and “to deploy government resources and services to create fair and equal opportunity for every willing citizen to make a living, create wealth and enjoy life in a peaceful and secure environment”. The governor added that “it also underscores our commitment to improving the welfare of the workers of Enugu State and to the provision of affordable housing for all citizens of the state”. He emphasized that the programme is a further testimony to the usefulness of synergy and cooperation between government, public institutions and the organized labour in the quest to improve the living standard of the people through the rapid development of all sectors of the state’s economy. While thanking the FMBN for choosing Enugu State particularly Nsukka as one of the locations for the project, Gov. 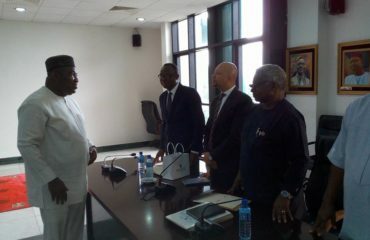 Ugwuanyi noted that the initiative was a welcome complement to the other efforts of his administration in developing the University town of Nsukka – “the second largest urban area in Enugu State and a University town founded over half a century ago”.